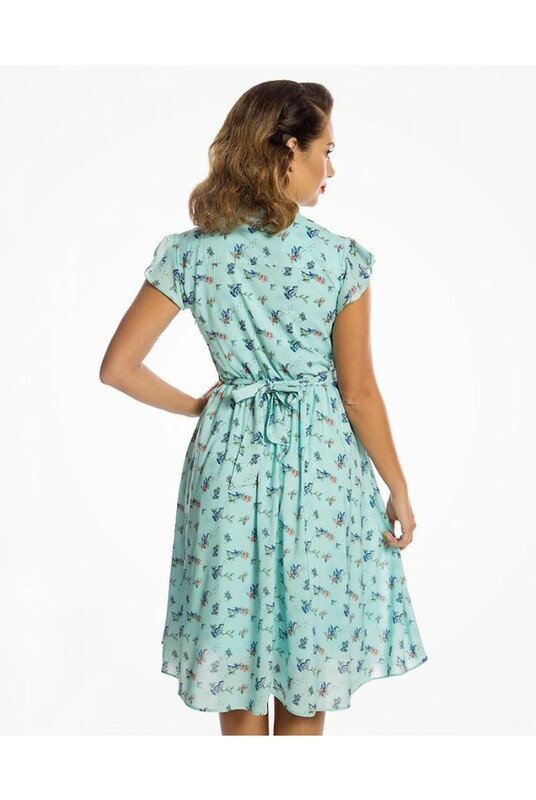 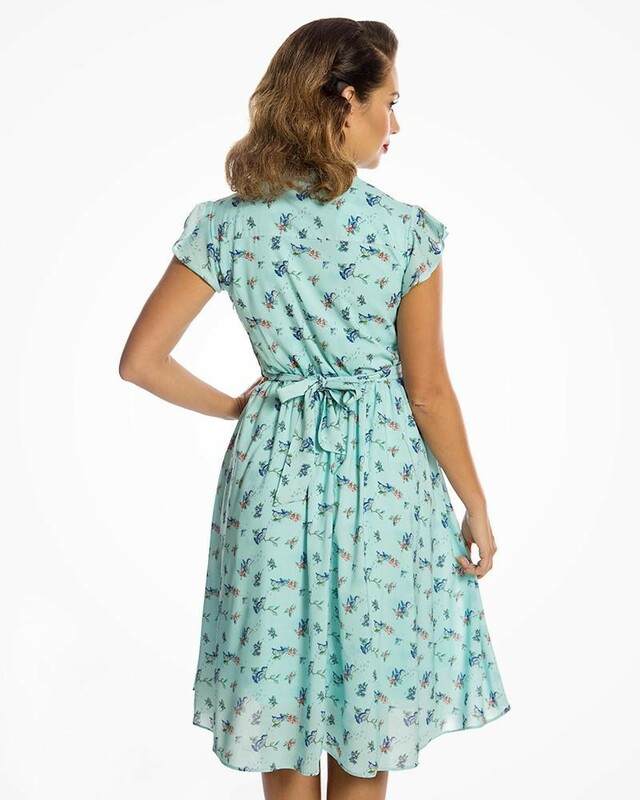 We know how much you ladies love a feathered friend so we are particularly proud of this Blue Bird Print Tea Dress in fabulous forties style. 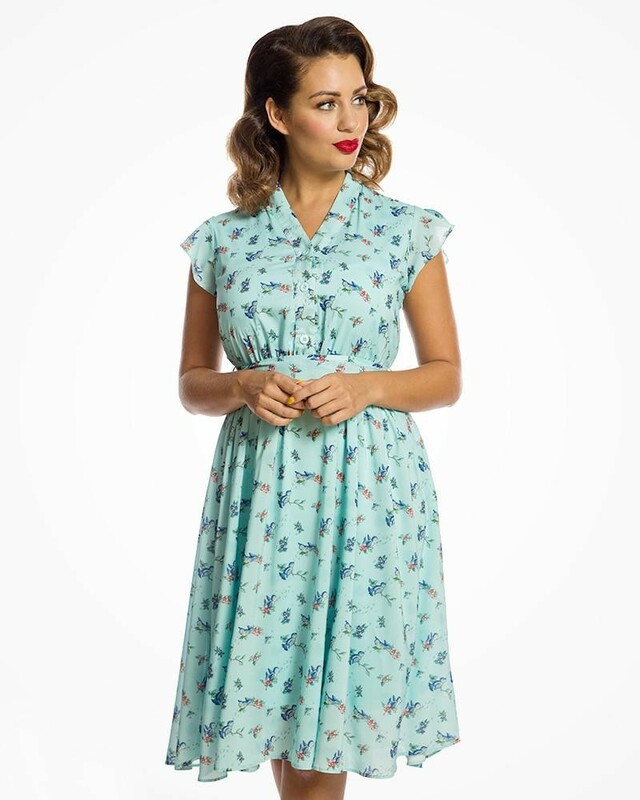 A welcome alternative to the more structured fit, this light, loose shirt dress gives a much more relaxed vibe whilst still keeping things oh-so vintage! 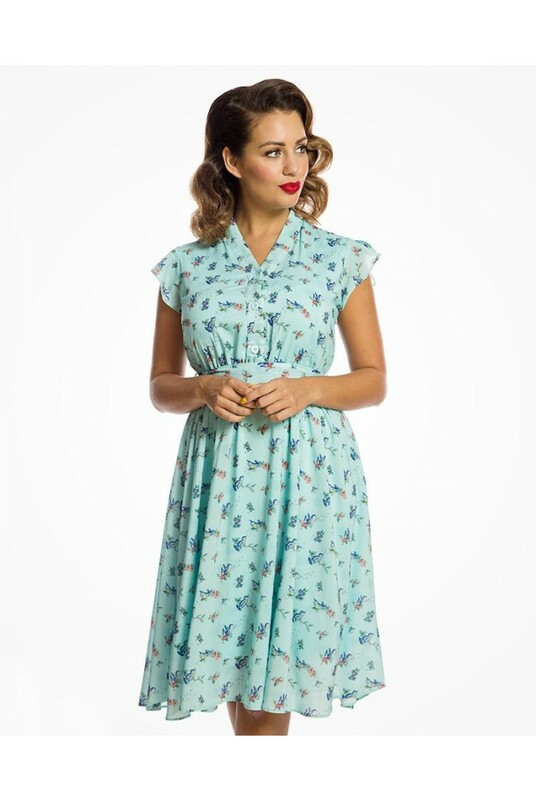 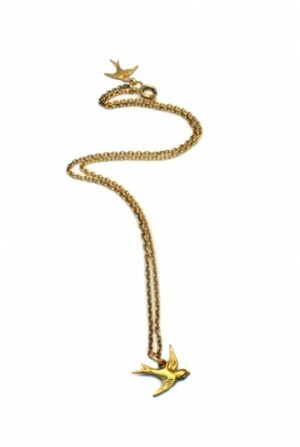 We adore that totally tip-top pastel tone and those marvellous birdies on the look out for some berry tome accessories to team with this soft, sophisticated vintage dress. 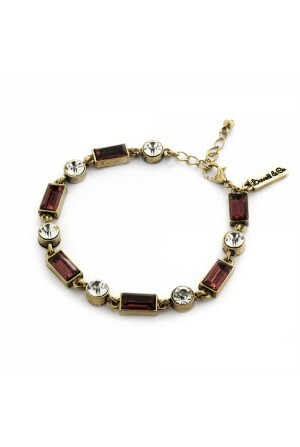 Whilst the colour is standout, it still needs warmth so continue this theme with a matching lippy and berry toned jewellery to complete the look.